The founder of the Garner Law Office, P.C., David Garner knows that injured workers in North Georgia often rely on workers’ compensation benefits to provide for themselves and their families, but that sometimes employers are hesitant to take responsibility. He helps people who have been injured on the job to recover the costs for their medical care and lost wages. Mr. Garner works to get his clients the assistance they need so they are able to focus on what matters most, healing. He offers a reasonable fee schedule and accepts credit card payments. With 15 years of legal experience, Mr. Garner helps people file for benefits, obtain hearings for denied claims and seek damages from negligent third parties. 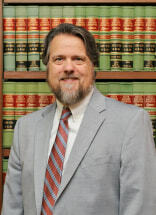 He has achieved favorable outcomes on behalf of clients in Acworth, Austell, Cartersville, Dallas, Douglasville, Hiram, Kennesaw, Mableton, Marietta and Powder Springs, Georgia, and throughout Cobb, Douglas, Paulding and Polk counties. Mr. Garner provides his clients with personalized attention, and guides them through the complex workers’ compensation system. Injured workers begin their relationship with Mr. Garner in a free initial consultation. At that time, he discusses their circumstances and explains their rights and options. Mr. Garner and his law office team provide clients with individualized attention and listen to their needs and goals. Beginning his law career working for a large defense firm that represented employers and insurers, Mr. Garner now draws on that experience and the valuable insight it provided to help him thwart the opposition’s defenses and protect his clients’ rights. Mr. Garner and his team at the Garner Law Office, P.C., strive to hold employers liable for their workers’ safety and working conditions, and to help injured workers receive fair compensation. David is an extremely talented and experienced attorney. His background in defense work makes him particularly well suited to handle insurance claim on behalf of his clients in Dallas, GA and Paulding County. He also takes cases in Polk County, Douglas County, and Bartow County, and other surrounding counties. He has excellent reputation with the local doctors. He knows how to handle catastrophic cases, including traumatic brain and spinal injuries, major joint injuries, and amputations. If you got hurt at work, I highly recommend him.